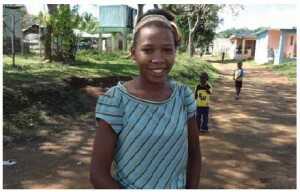 Yamileisy, a young woman from Dominican Republic, received help from ACCESO International. She is now pursuing post-secondary studies in communications. I founded ACCESO International in 1996 to address the disparity between my own educational and scholarship opportunities and those of underprivileged students in developing countries of the Americas, a disparity that struck me during my travels in the region. ACCESO International is an Ottawa-based Canadian charitable organization that is completely volunteer-operated. In my work with Acceso, an impressive team of educators, lawyers, accountants, engineers, social workers, journalists, researchers and administrators has joined me. Together, we promote greater access to education by providing bursaries and learning materials at all levels of education — from preschool to post-secondary — in the Bahamas, Bolivia, Canada, Colombia, Dominican Republic, El Salvador, Guatemala, Haiti, Honduras, Mexico, Nicaragua and Peru. We operate non-hierarchically by focusing on equality, consensus-building and collegiality among our volunteers, donors and beneficiaries. Our founding principles of solidarity, human rights, peace and social justice enable our students, partners and supporters to collaborate in meaningful and successful ways. In addition to our annual commitment to schools, summer camps, homework centres, daycares, libraries, computer centres, skills-training workshops, playgrounds, vocational centres, orphanages, as well as to pre-natal and health-oriented workshops in various countries, we have also provided support for the reconstruction and replenishment of schools in the aftermath of natural disasters, including hurricanes and earthquakes in the Dominican Republic, El Salvador, Haiti and Peru. After almost two decades, we enjoy seeing the life-changing impacts of our ongoing support to thousands of students. Many of our projects focus on girls and women because we know empowerment through education leads to greater dignity, economic independence and ultimately poverty reduction. We also celebrate the progress of our post-secondary graduates, many of whom are working as doctors, nurses, teachers, engineers, psychologists and social workers with local and international projects based within their own countries. We are particularly proud of students such as Marcial, the very first student we sponsored in 1996, who through our support, completed his high school and university studies and is now working as a teacher and principal in a poor rural community in the Dominican Republic, where he organizes community-enhancing projects and inspires other young people. On our project visits to the Dominican Republic in 2012, he helped us identify two high-achieving high school graduates whose families’ limited financial situation prohibited them from continuing their studies. He drew our attention to Yamileisy, a young woman, and Amado, a young man. Both are now pursuing their post-secondary studies in communication and medicine respectively. This is just one of numerous examples of how the seed planted by generous donors and Ottawa volunteers is bearing fruit. We work primarily in Latin America and the Caribbean, but we also strive to create greater access to education in our own community by providing back-to-school support (school bags, lunch boxes and shoes) for low-income refugee and immigrant children living in Ottawa. Our local and international projects have benefited from private, corporate and diplomatic support in Ottawa. At the end of April each year, we host more than 300 guests at a fundraising event titled The Sounds & Tastes of the Americas. The dinner, auction and show celebrate the food and culture of Latin America and the Caribbean. Since 2003, several embassies, including those from Bolivia, Costa Rica, Dominican Republic, El Salvador, Guatemala, Haiti, Honduras, Mexico, Peru, Spain and Venezuela have supported this event. They have contributed traditional dishes to the dinner and donated handicrafts to the silent auction as well as a dinner at an ambassador’s residence. In recent years, Peruvian Ambassador Jose Antonio Bellina, and his wife, Rosa Luz, have generously donated a Peruvian dinner for 10 guests. Since 1996, ACCESO International has worked in 12 countries and supported 42 pre-schools and daycares, 22 primary schools, six high schools, two vocational centres, two orphanages, six libraries, six homework centres, 14 summer camps and four playgrounds. It has given bursaries to more than 4,250 students. Christine Gervais is the founder and president of ACCESO International and an associate professor of social sciences at the University of Ottawa. Contact her at info@accesointernational.ca or visit accesointernational.ca to learn more. Christine Gervais is the founder and president of ACCESO International and an associate professor of social sciences at the University of Ottawa. Contact her at info@accesointernational.ca or visit accesointernational. ca to learn more.